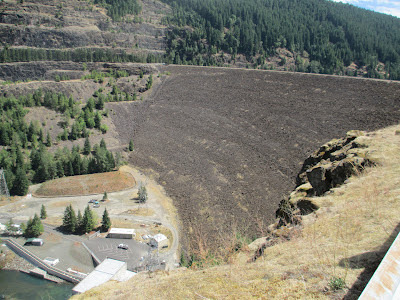 The face of Cougar Dam east of Eugene, Oregon. I passed it several times on my 2012 travels in Oregon. See in my photo stream.